St John's Wort Oil has soothing, antiseptic, anti-inflammatory and analgesic properties. Beneficial for minor wounds, burns, sores and bruises. Infused in Sunflower Oil. Our St John's Wort Oil (Hypericum perforatum) is extracted from the buds and flowers of a perennial plant that is native to Britain and France. It is prepared by infusing the plant material in a fixed oil (we use Sunflower Oil) for approximately three weeks. This infusion is then pressed and strained resulting in a therapeutic oil that is bright red in colour. St John’s Wort Oil is excellent for use on the skin as it has soothing, anti-inflammatory, antiseptic and analgesic properties. Applied topically it can be useful for mild burns (including sunburn), bruising, haemorrhoids, varicose veins, minor wounds, sores and ulcers. It is particularly beneficial in treating wounds where there has been damage to nerve tissue. Similarly it is said to help treat conditions such as neuralgia, sciatica and fibrositis. St John’s Wort has also been used traditionally as a herbal remedy (when taken internally) for anxiety and depression. 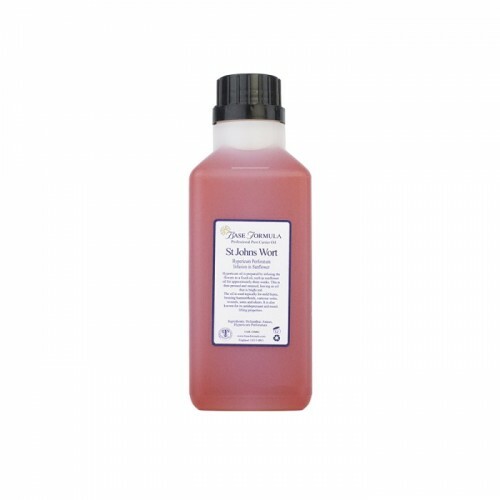 Usage: We recommend that you use St John's Wort oil at 10-50% dilution with a lighter base oil. 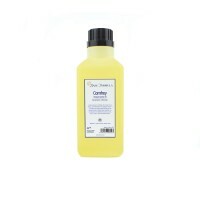 Blends particularly well with Calendula Oil. Safety Note: The oil should only be used for external application and should not be taken internally. Do not apply to fair or sensitive skin prior to sun exposure as it may cause photosensitivity.